Adapt and Grow: How to Excel at your Day Job While Preparing for Your Next Job. Prior to joining the Public Health Institute (PHI), I spent my career in refugee resettlement. As my job evolved, I was nervous that my lack of technical knowledge would make it difficult for me to support global health professionals—particularly the senior ones with accomplished careers. However, over the course of my time with different PHI fellowship programs, I’ve found that the skills I developed working with refugees have served me well. Working with refugee populations in local and national contexts required me to observe, listen, be willing to try new approaches when the old ones didn’t work, and ask questions. The same is true in global health. While global health professionals may have a specific area of expertise, there are always new programing priorities, technologies, and acronyms to learn. Adapting approaches to new communities and cultures requires professionals to be continuous learners. As STAR’s Performance Management Lead, I am responsible for ensuring that our participants have the performance and career development support they need to be effective in the global health workforce. And that support can’t be one-size-fits-all. As a STAR participant, performance management begins on day one - and for my team, it begins well before Fellows and Interns even walk in the door. I collaborate with our Recruitment staff in developing appropriate scopes of work and work closely with Onsite Managers to ensure participants are well-supported and treated as an integral part of the organization. In previous fellowship programs, we’ve found one of the biggest hurdles for new participants is learning to function in a new organizational culture. 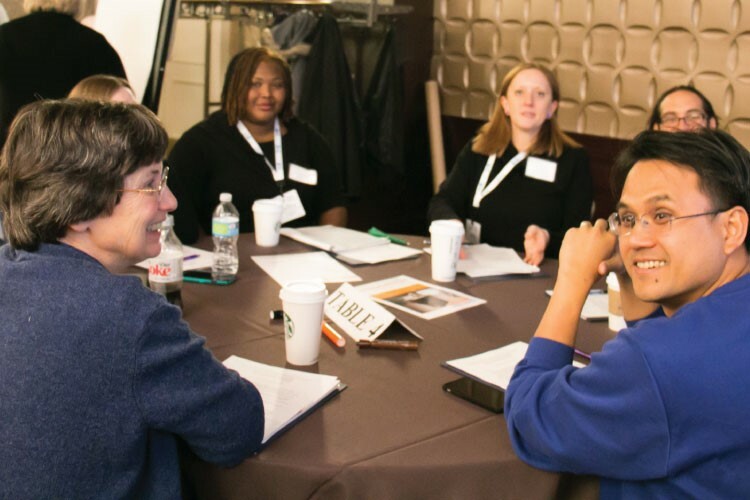 STAR’s Performance Management team has created a comprehensive orientation and works with Fellows throughout their tenure with the program to identify resources that will help them be effective in their jobs - from coaching to tailored leadership and technical training. We closely coordinate with STAR’s Learning team every step of the way, to ensure the objectives outlined in participants’ Individual Learning Plans are reinforced through their day jobs and their professional development activities. Since STAR Fellowships and Internships are time limited (two years for Fellowships, three to twelve months for Internships), in practical terms, that means our participants are looking for their next career opportunity at some point during their tenure. This is another focus area for the Performance Management team, and one that is often ignored by other employers. STAR offers a unique opportunity to take a step back and reflect on your skills gaps, so you can grow in those areas, and enhance the strengths you already have. I’ve observed that the participants who tend to be the most successful are those who recognize that there’s always more to learn in global health. And when the time comes to transition to a new position, they are well-prepared. Successful participants also appreciate that learning to navigate the culture of their host organization and building rapport with their colleagues is equally as important as being good at the technical aspects of their job. Laurette Cucuzza, a former Global Health Fellows Program II (GHFP-II) participant, is a great example. As a Senior Reproductive, Maternal, Neonatal, Child Health and Adolescent Health Advisor in India, had to figure out how to navigate a new organization, culture, and team dynamics when she moved to India for her GHFP-II Fellowship with Dasra, an Indian philanthropic organization focused on social change, after many years working as a technical advisor for international NGOs in Washington, D.C. Although Laurette had worked extensively in India, she had never lived there. During one of our regular check-ins, Laurette confided that she had to stretch outside her comfort zone and embrace Indian cultural norms in the workplace in order to build stronger relationships with her colleagues. Something as simple as having lunch with colleagues was an opportunity for Laurette to build relationships with her colleagues on a personal and professional level. Many shared forkfuls later, she was regularly sought for her technical expertise and leadership in support of Dasra's programming around adolescent girls’ empowerment. 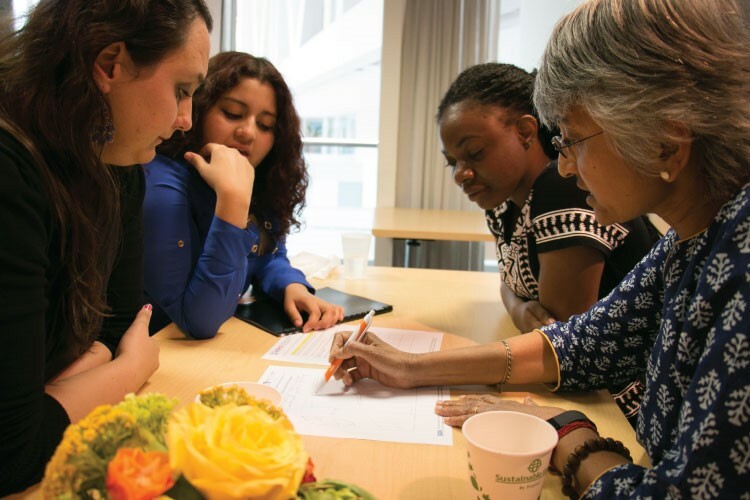 And the learning worked two ways – she came to value the knowledge, experience, and diverse perspectives her colleagues contributed to adolescent health services. STAR’s Performance Management team also embraces this whole-person approach. Yes, we regularly check in with participants when it comes to evaluations and performance plans. But we’re also here to help you navigate a new working culture, social norms in a new country, and your next move in global health.